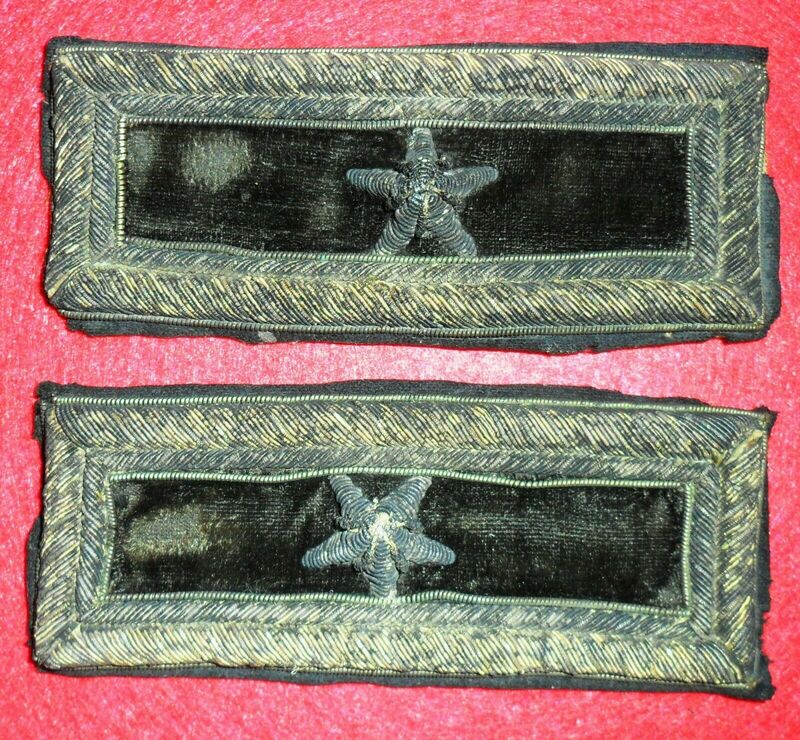 These are rare custom-made "double bordered" should rank boards for the uniform of a General Staff Brigadier General during the Civil War. Such custom boards were no longer allowed by regulations after the Civil War. These are hand-built by a custom military clothier in the Civil War Era. A super rarity! The image was donated to our Cyber Museum courtesy of Bruce Phifer.